65 Maine schools and nearly 15 out-of-state schools will make the trip to Belfast on Saturday to run in the 16th annual Festival of Champions at Troy Howard Middle School. Since its opening year in 2001, the meet has served as an opportunity for runners to compete against teams from all classes, as well as the chance to run a personal-best. Last year Yarmouth's Luke Laverdiere dominated the boy's race, running the fourth-fastest time in course history, while the Falmouth boy's took the team race. Laverdiere is expected to be the favorite on Saturday, while Falmouth is expected to have tough competition for the team title. Let's take a look at the top teams and individuals. Luke Laverdiere (Yarmouth) Laverdiere is looking to become the first runner since Matt McClintock back in 2011 to repeat as winner at the Festival of Champions. He was unchallenged last year running 15:33.84, which currently sits as the fourth-fastest time in course history. He's undefeated on the season with his most impressive win coming at the Southern Maine XC Classic, covering the 5k course in a PB of 15:17.85. That time is the fastest in the state in 2017. If the weather holds up, look for Laverdiere to challenge the course record of 15:06.92, set by Josef Holt-Andrews of Telstar High School back in 2013. 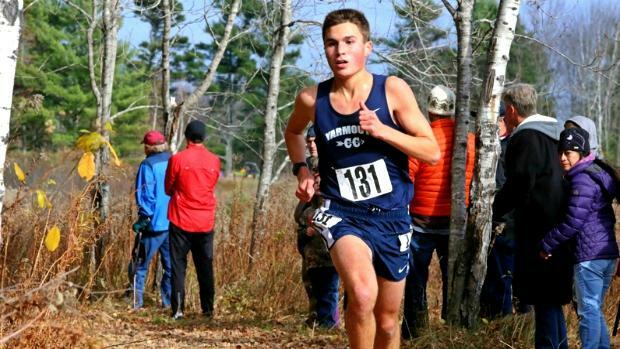 David Vorbach (Nashua North) Vorbach's track credentials and recent performances on the trails make him a candidate for a high finish on Saturday. 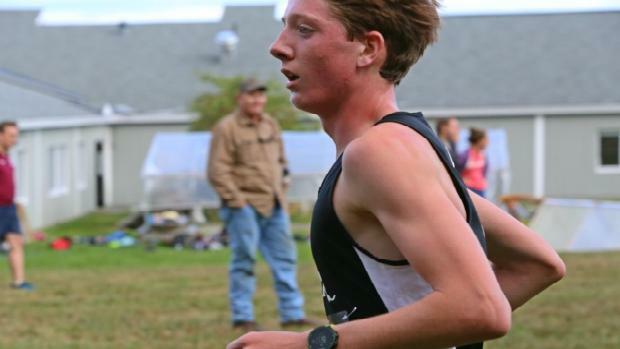 He had an 'off-race' last weekend at the Manchester Invitational, finishing 25th in the 'Large School' race running 16:58, but won the Nashua North Invitational back on September 16 running 16:02.40. He finished 31st at last year's New England Championships, and finished fourth in the 3200m at last spring's New England Championships running a PB of 9:14.08. Forest MacKenzie (Concord) MacKenzie is one of the few out-of-state runners that will challenge for a high finish on Saturday. His most recent performance came at the Manchester Invitational last weekend where he finished fourth in the 'Large School' race, running 16:31. He also finished second to Vorbach at the Nashua North Invitational running 16:18.70. He was 57th at last year's New England Championships, and ran 9:38.63 for 3200m last spring. Gabe Coffey (Bangor) Coffey has won three of four races in 2017, and enters Saturday with a season-best of 16:36.14, which he ran at Hampden Academy back on September 14. That time sits as the second-fastest in Class A North in 2017. He finished 37th at FOC in 2016 running 17:06.14, but is much more fit this year. Look for him to mix it up with the top group and challenge for a sub-16 time. Wyatt Lord (Hampden Academy) Lord is the second fastest returner from last year's race after running a PB of 15:51.75, and is off to a solid start in 2017. He's finished second to Coffey two times this season, and comes into Saturday with a season-best of 16:47.13, which he ran back on September 14. That time is the third-fastest in Class A North this season. Alexander Swett (Massabesic) Swett ran a PB of 16:12.05 at the Southern Maine XC Classic finishing fifth. That time is currently the second-fastest in Class A this season. He most recently ran to a 53rd-place finish in the 'Large School' race at the Manchester Invitational last weekend, running 17:36. Swett finished seventh at last year's race, running 16:17.25. 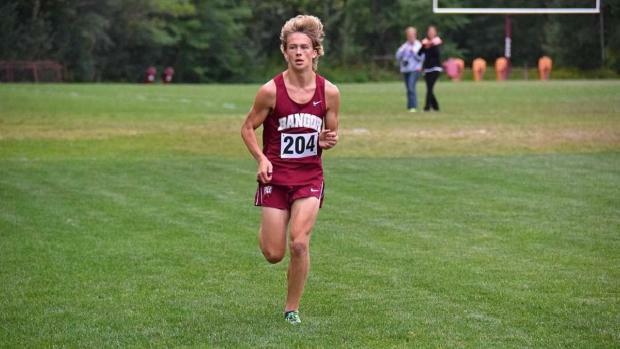 Luke Marsanskis (Greely) Marsanskis is having a breakout season in 2017, and comes into the race with the fastest 5k time in Class A this season. He ran 16:11.93 at the Southern Maine XC Classic, finishing fourth overall. He posted his first win of the season at Gray-New Gloucester High School back on September 15, covering the notoriously difficult Libby Hill 5k-course in 18:04. Sam Russ (Lincoln Academy) Russ has won three of four races this season, with his most impressive coming at Medomak Valley High School where he ran a PB of 16:24.06 back on September 15. That time is currently the third-fastest in Class B this season. He finished 27th in last year's race, running 16:54.89. 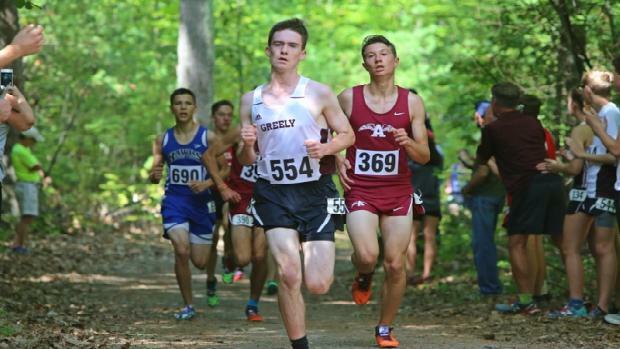 Matthew Todd (Greely) Todd's been one of the most improved runners in Class A this season. His 5k PB coming into the season was 17:16.91, which he ran at last year's FOC, finishing 45th, and has slashed over a minute off that time this season. 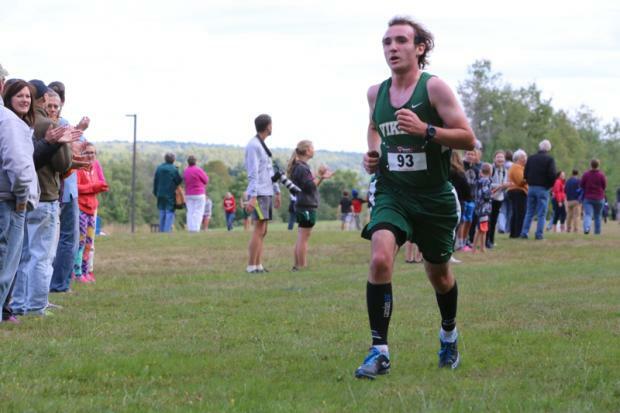 He ran to a sixth-place finish at the Southern Maine XC Classic, running 16:13.05. He's won one race this season, which came at NYA back on September 1, running 17:09 for 5k. Dominic Sclafani (Oxford Hills) If Todd isn't the most improved runner in the class, then it might be Sclafini. After finishing 59th at last year's state meet, Sclafini has developed into a threat an individual state title threat. He was the runner-up in his first race of the season at the Laliberte Invitatonal at Cony High School, running 14:04.31 for 2.4-miles. He's won two of three 5ks this season, including an impressive win at Leavitt High School, covering the difficult course in 17:13.20. Sclafini was 75th at FOC a year ago, running 17:42.17. Concord, NH - The top ranked team in New Hampshire is the favorite to win the team title at FOC. Concord finished third in the Manchester Invitational a week ago, and feature a lineup that has a 16:32 average for the top 5 runners. The most impressive thing maybe just a thirty six second spread. They will be led by Forest Mackenzie. Greely, ME - The Greely Rangers, no. 1 in the Flo 50 Poll, should come in as Concord's biggest challenger. 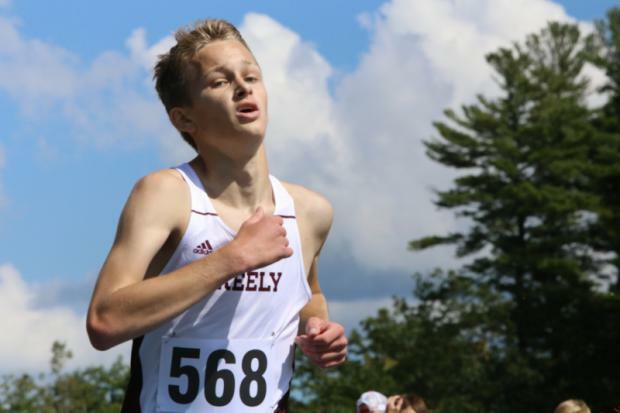 Greely has two studs in Luke Marsanskis and Matthew Todd, who are both capable of top-10 finishes, and a freshman phenom in Sam Wilson, who should be the favorite in the freshman race. Wilson will have to race against the clock to get a high finish for Greely. The Ranger's stole the show at the Southern Maine XC Classic in early September as the easily defeated Falmouth, ranked no. 1 at the time, Massabesic, Yarmouth and Wells, scoring just 69 points. 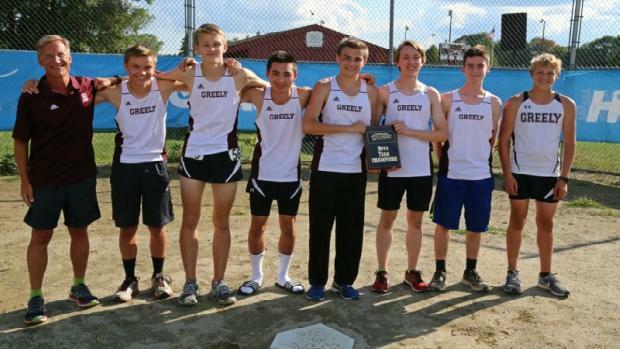 Greely finished fourth at last year's FOC. Falmouth, ME -The Yachtsmen will face an uphill battle as they try to win the Festival of Champions for the second consecutive season. Falmouth, no. 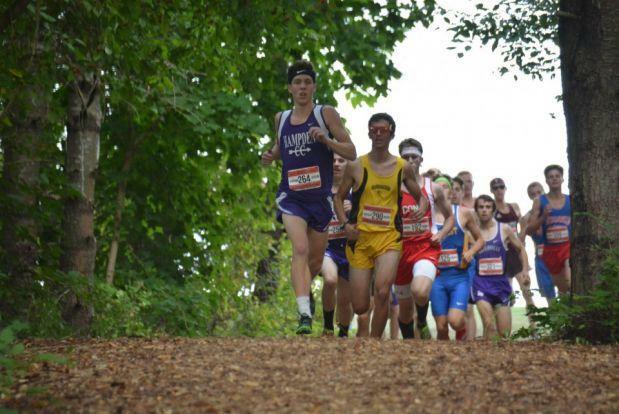 2 in the Flo 50 Poll, has two runners capable of top-15 finishes in John Auer and Connor Piers. Those two have been inter-changeable this season. They also have very solid depth, with seven runners having broken 18:00 for 5k this season. The key for Falmouth on Saturday will be the performances of its three and four runners Alex Kinley and Charlie Henning. They both have had very solid seasons, but will need to run above average races on Saturday for them to compete with Greely. Nashua North, NH - The seventh ranked team in New Hampshire will look to mix it up with the best in the 207 on Saturday. A week ago they finished 10th in the Large School race at the Manchester Invitational. David Vorbach leads the way for Nashua North, who has a 17:00 1-5 team average with a 1:49 split. East Greenwich, RI - East Greenwich comes into FOC with a 17:20 team average with a 1:25 split. 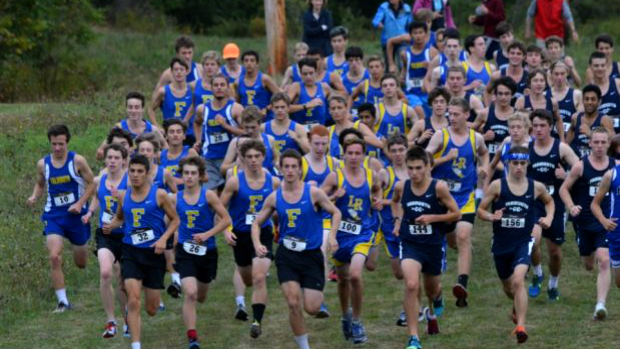 Last weekend at the Ocean State Invitational they finished 11th in the Division 1 race. Look for Quentin Viera lead the way. 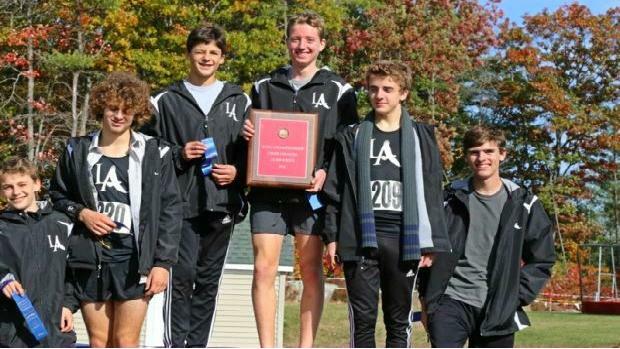 Lincoln Academy, ME Lincoln Academy finished fifth in 2016, and brings back its entire top five, including junior Sam Russ, who should contend for a top-10 finish. The Eagles are a deep team as they have four runners including Russ who have run 17:49 or better for 5k this season. If there's one weakness for no. 4 Lincoln Academy, it's their fifth runner. For the Eagles to contend with teams like Falmouth and Greely, they'll need a great race from fifth runner Noah Jordan. It's 2-4 of David Barnum, Jarret Gulden and Benji Pugh is strong. Massabesic, ME The Mustangs come in Saturday ranked no. 6 in the team poll. They have a runner in Alexander Swett, who is expected to contend for a top-10 finish. That low stick will be beneficial for Massabesic. The improvement of Jeffery Waters has been vital towards the Mustang's success this season. He had a PB of 18:04 in 2016 but has shaved off more than a minute off that time in 2017, having run 17:02, which he ran at the Southern Maine XC Classic to finish 14th, leading Massabesic to a third-place finish. . He will need another similar effort on Saturday. 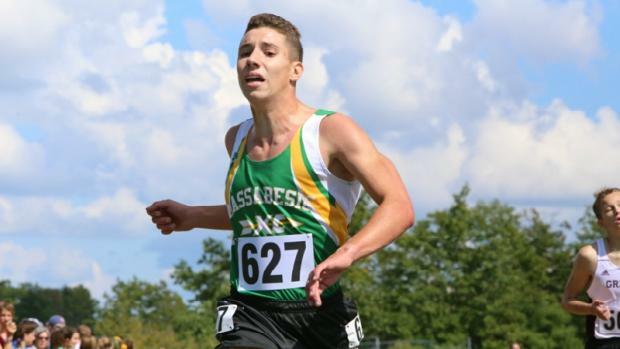 Jacob Aboud and Jakob Saucier are Massabesic's three and four runners, who have consistently run in the 18-minute range this season, but they fall off a bit with its fifth runner. They will need a breakout performance from either Jarrod Hooper or Matthew Pooler to finish high. The Mustangs finished seventh in 2016.